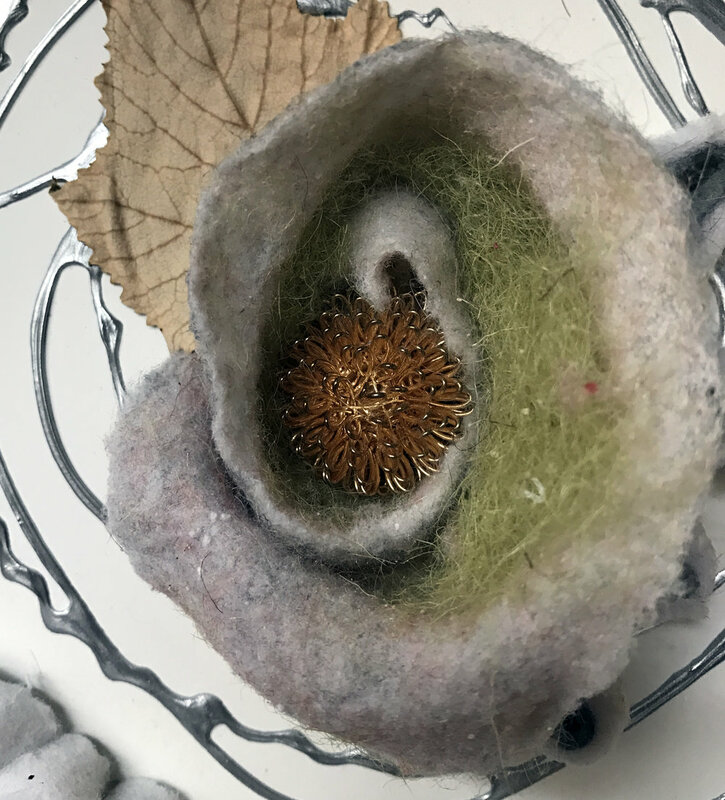 Swirls - 2017 — Stacey B. 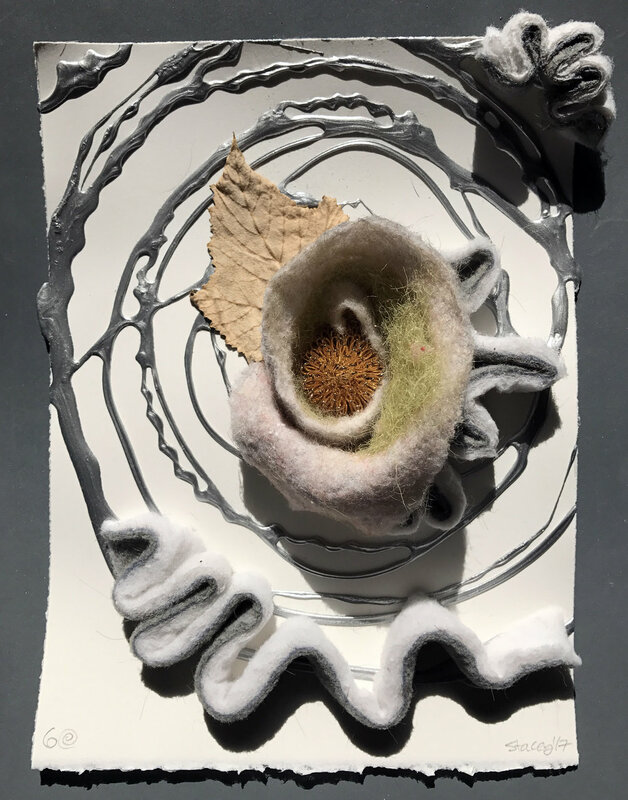 A series of eight 6" x 8" works created January 2017. 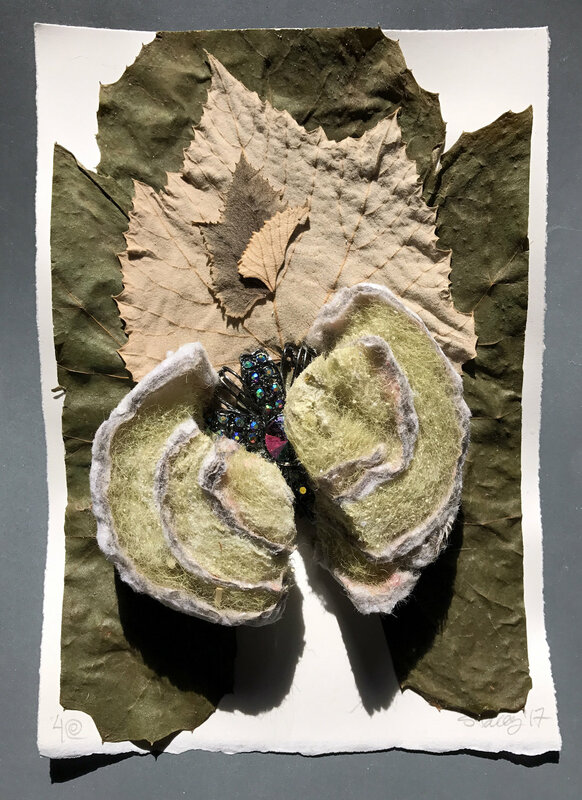 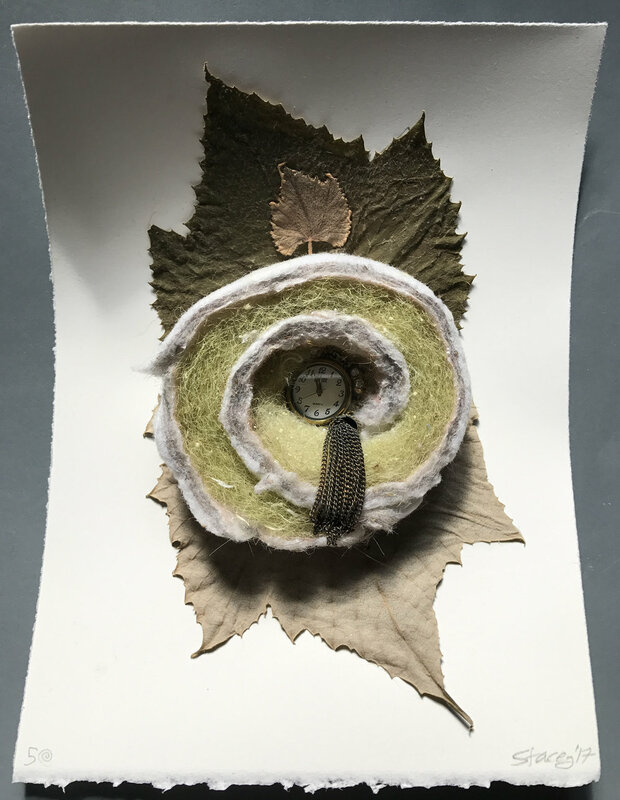 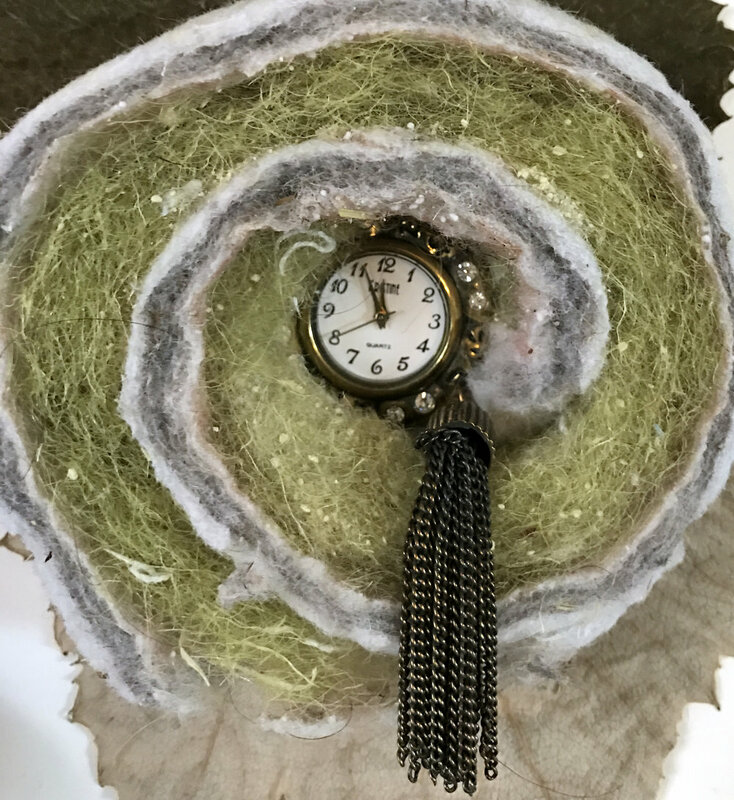 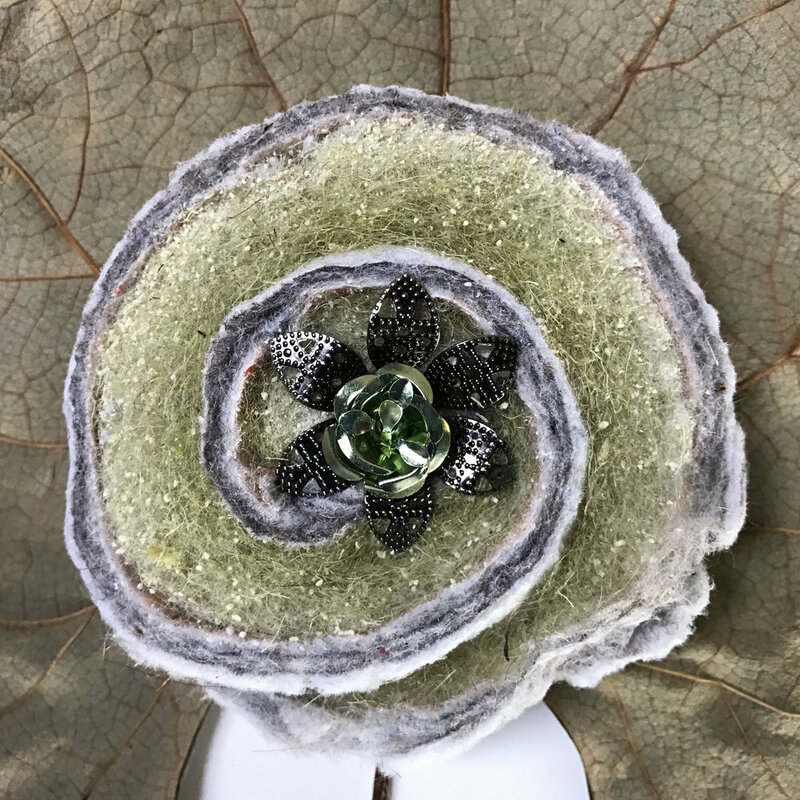 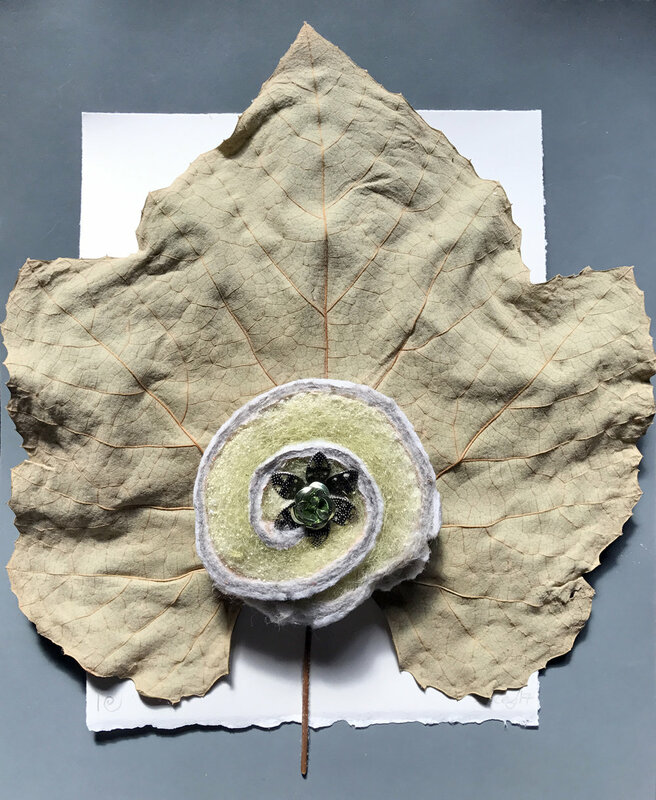 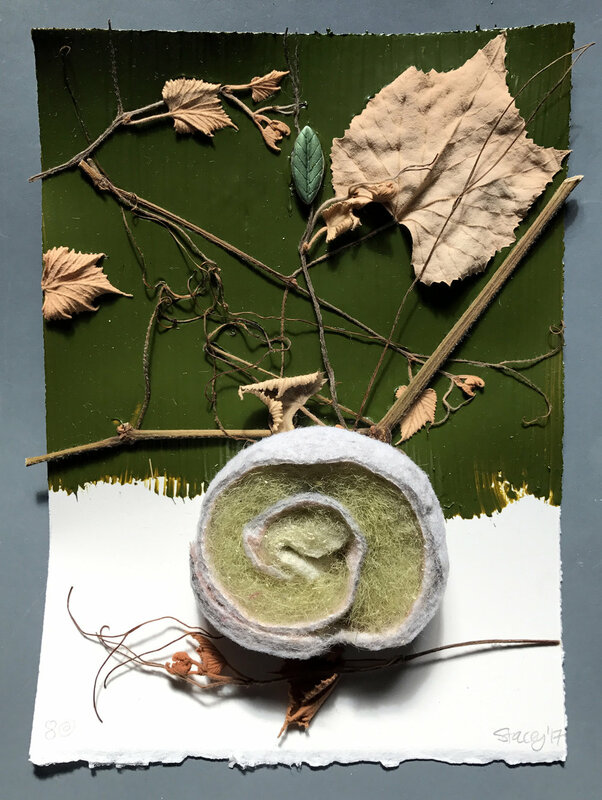 Each piece includes a swirl of laundry lint with an unbelievably thick pale green layer, dried grape leaves, and small treasures.